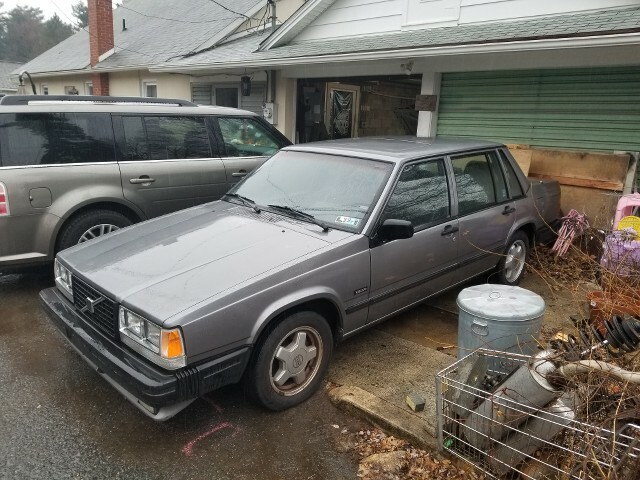 Picked up a solid 88 740 turbo that needs a motor. I have one lined up that is coming out of my buddies 93 940 which is also a turbo. I've never built a volvo using volvo stuff. I have an LS swapped 240 wagon, and another wagon that I daily drive. Once I get the motor out and back in I'd like to go ahead and play around a little with making a little more power. Say 300, not even sure if that is possible. The car is currently auto, but again once the engine is in and the car is running I think the first project will likely be a t5 manual swap. Am I out of my mind thinking that 300whp is possible? I'll start researching solid combinations and recipes for more power, but wanted to get thoughts about my goal. 300whp is definitely doable on the stock bottom end of the 93 engine, assuming it’s healthy. Trans will be okay too, just do the accumulator mod. Great news. My LS car has plenty of power. I would just like to wake the car up some. Still undecided on what I want to do with the transmission. Keep it auto or manual swap it. Auto. Make it a nice DD. Auto. Make it a handicapped appliance. ... LS Everything. Easy and reliable power. Pft. Clutching is for young folk. Built autos are for men. I already have one of those. 88 245, 650whp. It will be difficult to reach 300 on lh2.2 which is what I'm assuming your 88 has. You can ms or switch to lh2.4. For my old 89 744 500 dollar redblock hot rod I did upgrade to lh2.4 and then put a 84 B23ft motor in it with 15g and ran 12.61 in the quarter mile with slicks. Then turned a rod bearing and put in a 90 plus big rod b230ft and ran 12.7. Getrag 265 5 speed man trans. Stock cast iron flywheel exploded during a burnout at PIR totaled the car. Last edited by sbabbs; 01-07-2019 at 01:17 AM..
T5 trans and a 16g turbo with J pipe header. This is all I want. Simple. rod I did upgrade to lh2.4 and then put a 84 B23ft motor in it with 15 and ran 12.61 in the quarter mile with slicks. Then turned a rod bearing and put in a 90 plus big rod b230ft and ran 12.7. Getrag 265 5 speed man trans. Stock cast iron flywheel exploded during a burnout at PIR totaled the car. We'll I wouldn't want my worst M-N-E that. You best get billet steel flywheel. All I run nowdays.. Trying to get a list together of the typical things to do before I put the new motor in. So far I've been banking on motor mounts, timing belt, water pump, and the 3 seals. Is there anything else I should consider doing what I have the engine out? Going to do the accumulator mod to the trans as well. Inspect closely the radiator and hoses. Since you are unhooking those anyway, now would be a good time to replace them if needed, to guard against future problems down the road. Good idea. Was wondering if it was worth my time replacing the valve gushers what I had the motor out. Doesnt look to bad to even do with the engine in, so i might skip that for now. Ok. Looks like I'll just be doing routine maintenance, motor mounts, lh 2.4 swap and accumulator mod right away. Would a 15g turbo be a worthwhile upgrade or not really? I hear conflicting stories. Yeah. Not much difference in a 15g and 16t. That's the standard "upgrade" turbo on an otherwise stock setup. I enjoyed mine. I didn’t notice too much of a difference in my 13c vs 15g, but that’s probably because I didn’t run the 15g at very many boosts. But both turbos at 10psi felt the same to me, could also be because I got 2 or 3 bad 15Gs off the for sale section. People love selling blown turbos on this forum so be aware. I would just run the 13c that comes with the motor if it’s healthy. Got most of everything disconnected under the hood. All that's left are the mounts, driveshaft and shift linkage. Hoping that some of the front end comes apart to help get it out if the bay. Can anyone give me some guidance with this engine harness? Most all the plugs are disconnected, but it seems like one giant harness with no end. What gives? If it's anything like the 240s, most of the harness is underneath the intake manifold. You'll need to disconnect all the sensors. On a 240, you have to remove the alternator wiring and route it behind the PS/AC bracket (kind of a PITA). But on a 7 I don't think you need to since the alt is up top. Be sure to label everything. It should be a really straight forward swap. And FWIW, I personally have never had to remove the front clip to get a motor and trans out, but I've only ever pulled motor by itself, only after dropping the trans first. Removing the intercooler and radiator will give you a few extra inches. It can be done. After everything is said and done this spring with my 740 upgrades, I will be at or around 300whp.